Video: Can an F90 M5 Keep Up with a Huracan on the Drag Strip? The new F90 M5 is considered by many a true return to form for BMW and its iconic M5 model. The F10 version received a lot of flack and some would say deservedly so. So it’s fair to say that the F90 M5 is quite a different beast altogether. The all-wheel drive system is impressive and solves an issue many complained about: drag strip performance. More grip was indeed necessary when launching the old 560 HP model, so that’s now no longer an issue. Few people could’ve guessed just how much of a difference the added all-paw traction could make. 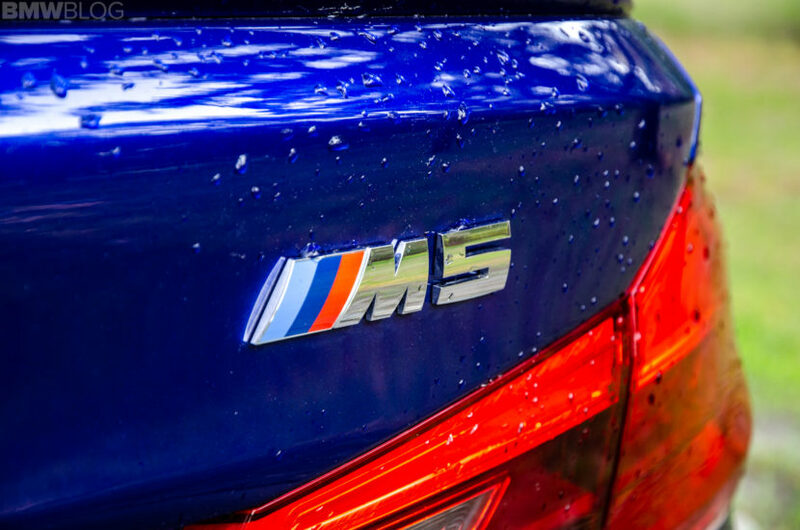 After all, the new M5 gained only about 40 horsepower compared to the old version, reaching 600 HP, so the fact that it’s faster by more than a full second has a lot to do with the M xDrive system. And that’s perfectly exemplified in the video below, where the new Bavarian land-missile travels to a drag strip to take on a thoroughbred Italian supercar. The Italian side of things here is represented by a Lamborghini Huracan LP610-4. The numbers tell you everything you need to know, in case you’re not familiar with the Lamborghini model line-up. This is a car powered by a 5.2-liter V10 atmospheric engine delivering 610 PS to all four corners of the car through a super-fast 7-speed dual-clutch gearbox. Since this is a Lambo it’s also light, tipping the scale at 1,422 kilos, meaning it will do 62 mph from standstill in 3.2 seconds. Interesting, right? The M5, on the other hand, is a lot heavier (half a ton heavier) and has four comfortable seats by comparison. It has 600 PS and it will do the same sprint in 3.3 seconds which is pretty damn impressive considering the size of the thing. Could it possibly hang with a proper 2-seat supercar? Well, let’s find out.